There was something i’ve been looking for since a long while to complete my Documentation. And more than once i missed a chance to get one of those. but finally i Managed to get hands on it. Or at least a copy of it. 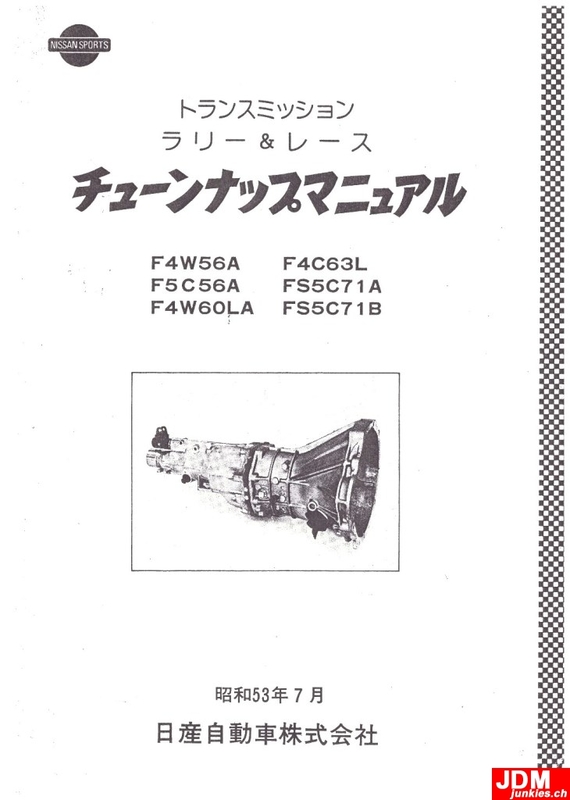 the Nissan Sport service transmission manual. 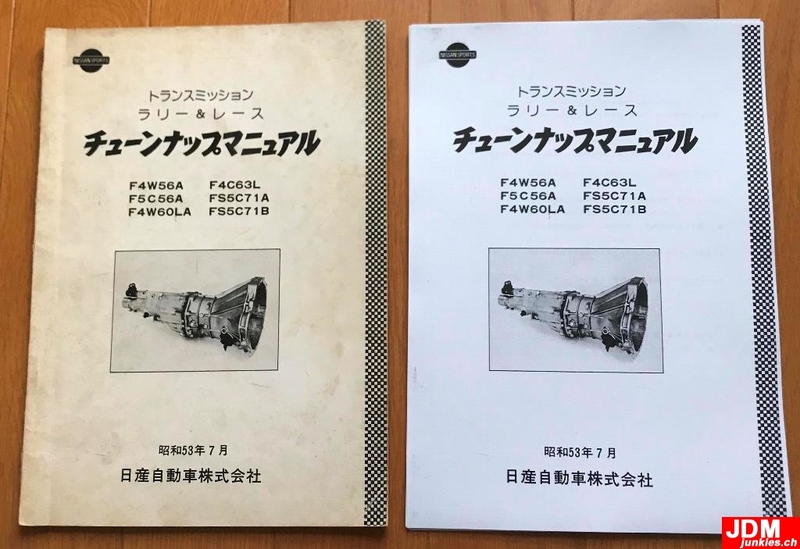 It’s basically a Book with lots of background information on all (or most of them) optional transmissions for japanese nissans back in the day. I haven’t gone through it yet but the information seems to be very useful… I want to thank a certain Man in Japan for taking the effort to copy this for me in excellent quality. Don’t want to name you in public because many others may want to get this too, but you know who you are. Thank you! Will pretty sure post some Z-related data from the book on my Blog over the course of the next weeks. whenever i find time.